We are back for our annual Hogmanay party this year Featuring GEORGE FITZGERALD & FORT ROMEAU. We are back for our annual Hogmanay party this year running 2 separate party's over the whole Liquid Room complex. 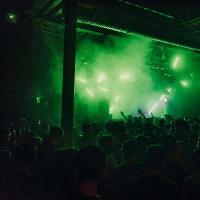 The Warehouse event features an exciting line-up of house & techno. This sells out every year so don't sleep on it.